He won't die, you guys! Fans have sooo many theories about the film (which will hit theaters on February 13) and one of them involves Raf (a UST student) "ghosting" Tin (a UP student) *romantically* in the story. After the teaser trailer came out, fans took notice of one scene in particular where a crying Tin was wearing a black dress when Raf silently arrived and sat next to her. This led ~theologians~ on Twitter to the conclusion that Raf is dead in the film and might be a literal ghost! Liza and Enrique recently flew to New York to film scenes for Alone/Together. 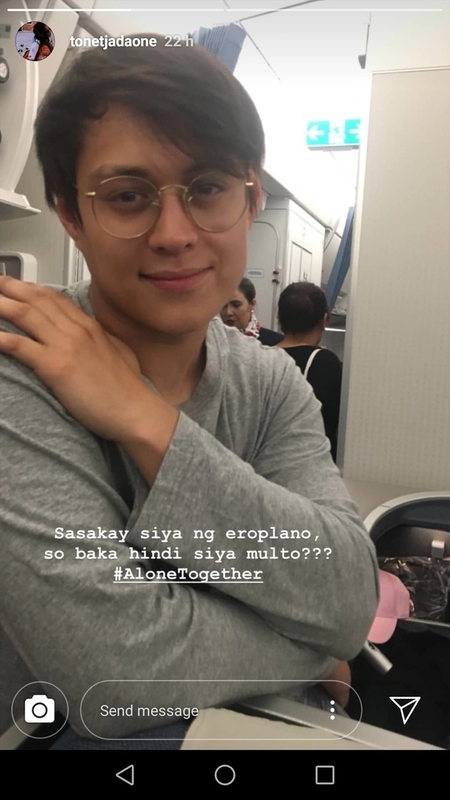 And get this: Director Antoinette Jadaone seems to be putting an end to these "Raf is dead" theories by posting an IG story ft. Enrique last night. She wrote, "Sasakay siya ng eroplano, so baka hindi siya multo???" So, that's that. While we're waiting for February to arrive (ang tagal, right? ), check out the latest teaser posts from LizQuen, where it looks like Raf (who wasn't a very good college student) is being awarded as one of the Philippines' Ten Outstanding Young Men! 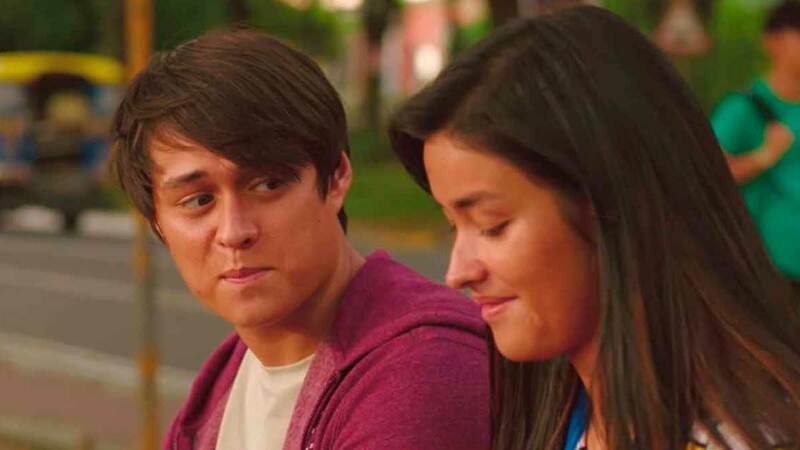 Liza and Enrique's previous movies include Just The Way You Are, Everyday, I Love You, and My Ex And Whys.